Capital Protection or Preservation: Needless to say, a good chunk of our portfolio will have to be invested in safe assets like treasuries, fixed deposits and bonds etc. Regular Income: Generating a regular income is the key, so we have to invest in income generating assets or options like Real estate, dividend stocks, bonds, deposits etc. Capital appreciation: Apart from real estate, the safe and income generating asset classes don’t provide capital appreciation. We want to make sure that our income is able to keep up with inflation. Every year expenses are likely to go up. Therefore we need to include stocks in our portfolio that will beat inflation on a long term basis. The financial planners or advisors usually talk about a withdrawal strategy where one takes money at a rate of 4% per annum from retirement portfolio. At this rate of withdrawal, the portfolio is able to provide enough income for the next 30-40 years of retirement but might not allow us to give a generous donation or leave an inheritance after we bite the dust. I’m not a big fan of this strategy. I want my nest egg to keep growing or at least beat inflation. Whatever the amount is left (after we kick the bucket), can be given to a charity or the next generation. Another important point: I’m not including other sources of income such as pension or social security. So if you have that, incorporate it in your calculations accordingly. I think it is about time we get down to some realistic numbers. Living Financially Free in the US: We lived for more than a year without fulltime jobs. I believe it is possible to live on $30K/year in a decent suburb or a city. Again this is considering the fact that you’re done with your house and car payments and have separate buckets/savings for kid’s college and for any other major expense. But wait!! Here comes the difficult part. In today’s almost zero interest rate scenario, you’ll need a corpus of one million to generate 30K/year. There are several ways of doing this. One would be to build a portfolio of 50% dividend stocks and 50% investment-grade bonds paying out a 3% yield that will keep up with inflation overall. This way you don’t have to touch the principal but the stock markets need to perform (unlike the flat return of previous decade). Other option would be to put at least 50% in rental properties as the prices are almost near bottom. I know we have been saying this for a while now :-), we keep finding new bottom every time. Hence even a million dollar doesn’t give me a comfortable feeling because I’m concerned about the rising college and health care costs, gas prices etc. All this comes at a time when the interest rates are continuing to be around zero levels, therefore giving hardly any return on safe investments. I hope the stock markets will generate 8% plus annual return going forward and the social security, medicare continue to be around in one form or another. It would be difficult to rely on an investment portfolio alone for regular income. Anyway, at least now you have some idea regarding the amount needed to generate enough income for your living expenses and how to invest it. Living Financially Free in India: Most of my friends and relatives have monthly expenses of anywhere from Rs 30000 to 100000 per month. If you have a small family, you can live well on Rs 50000/month in a tier 2 city in India. How do we generate an income of 50K per month (or 6 lacs/year)? Easy. You need a corpus of 75 lacs to generate 6 lacs/year. You can choose a variety of tax free bonds that offer interest of 8-8.5% or various types of fixed deposits yielding an interest of 10-12% pre tax. 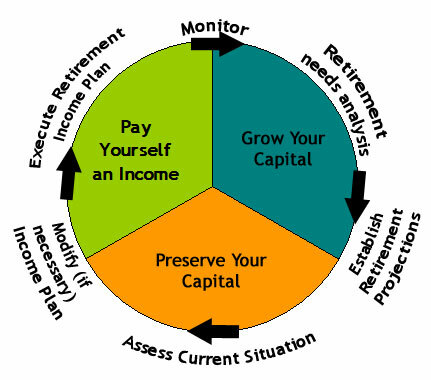 This portion of investment takes care of the capital preservation and regular income. Next part is the capital appreciation. Let’s come up with additional corpus of 50 lacs that can be invested in real estate or stocks (or a combination of both) that will give you a compounded return of 15-20% on a long term basis. This will take care of the future inflation. So for regular folks like ourselves, we will need a minimum of Rs 1.25 Cr (75+50) = approx USD 250K to lead a comfortable life in India. Now that you have a baseline to start with, you can add more to the required corpus to meet any additional monthly or one time expenses that we discussed earlier. Note: The projections are in today’s date and based on current economic environment. The terms: Lac and Cr (Crore) are used in India. 1 lac = 100000 and 1 cr = 10000000. Please feel free to post your questions or shoot me an email. This entry was posted in Get Rich and tagged financial freedom, financial plan, Investments, Portfolio, Regular Income on February 20, 2012 by admin.